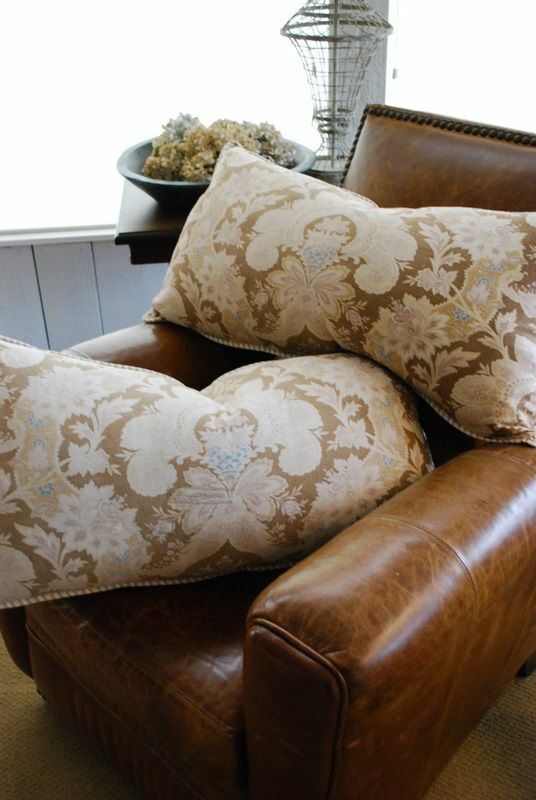 FRENCH PILLOWS, OOOH LA LA! Over the past few years, I have collected some beautiful antique French fabrics; florals, Rococo, ticking stripes, and homespun to name a few. I would love for you to see what can be created from these gorgeous antiques. 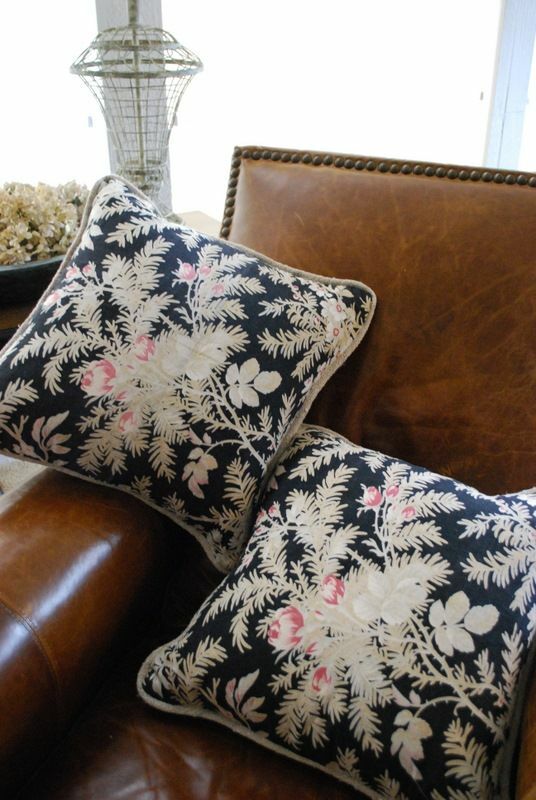 A pair of pillows made from French Arts and Crafts style antique black and mauve fabric. 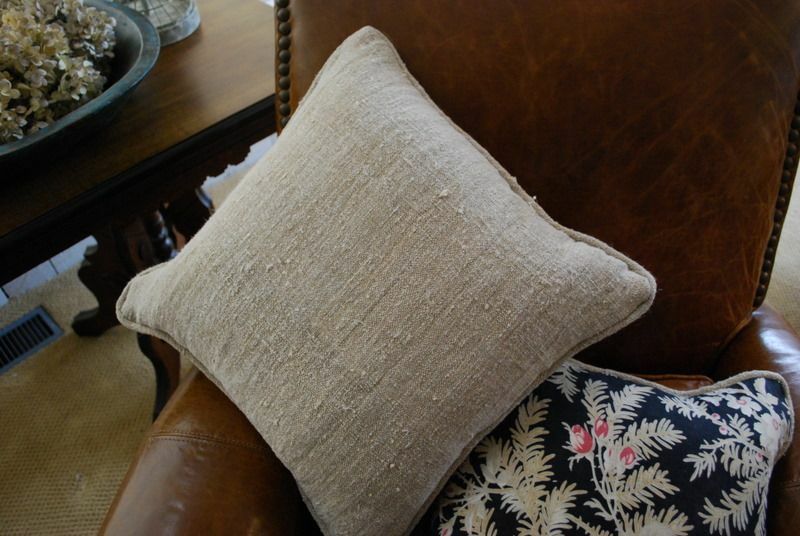 Backed in rough and nubby French homespun. Do you like these extra large Art Deco pillows? They are made with antique French fabric in a heavy cotton from the turn of the last century. The turquoise in them is very rare. One piece had a few signs of gentle wear, so I patched it with a coordinating leather. I was aiming for the "Paris Girl goes to Texas" look. I think that look defines my style. I hope you like it. Do you see the leather patch I added? Do you like it? I think France and Texas go together beautifully! There is so much more "Paris meets Texas" cowgirl to come. I hope you enjoyed this little snippet!